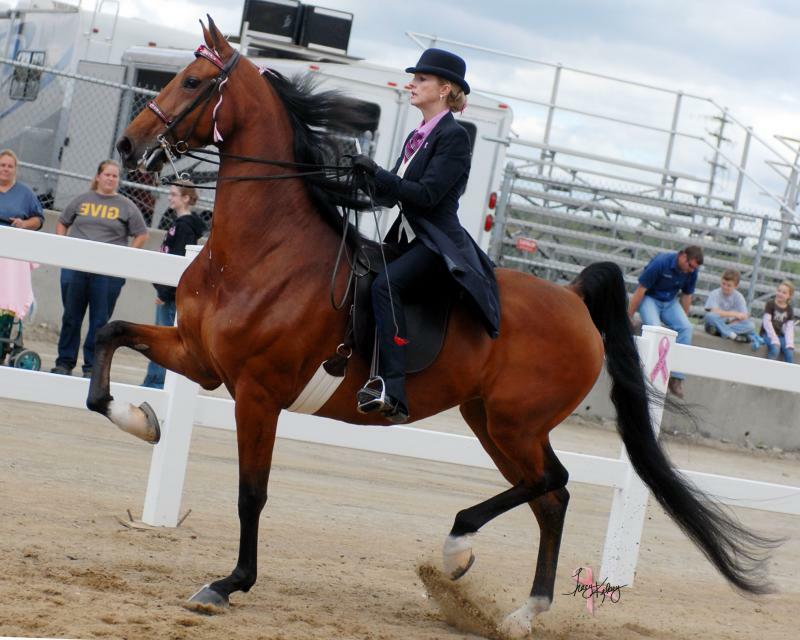 Located just north of Pittsburgh, PA Amy enjoys showing & training American Saddlebreds and done so since the early 80’s. However, she started showing Arabians and in 4H throughout her childhood. 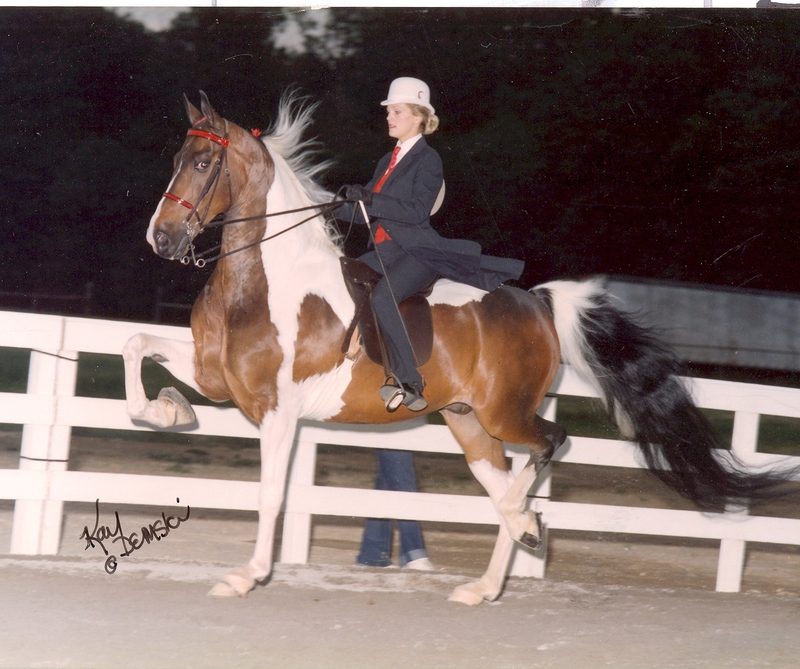 Jack, who is an attorney, started with Arabians and had great National show ring success. 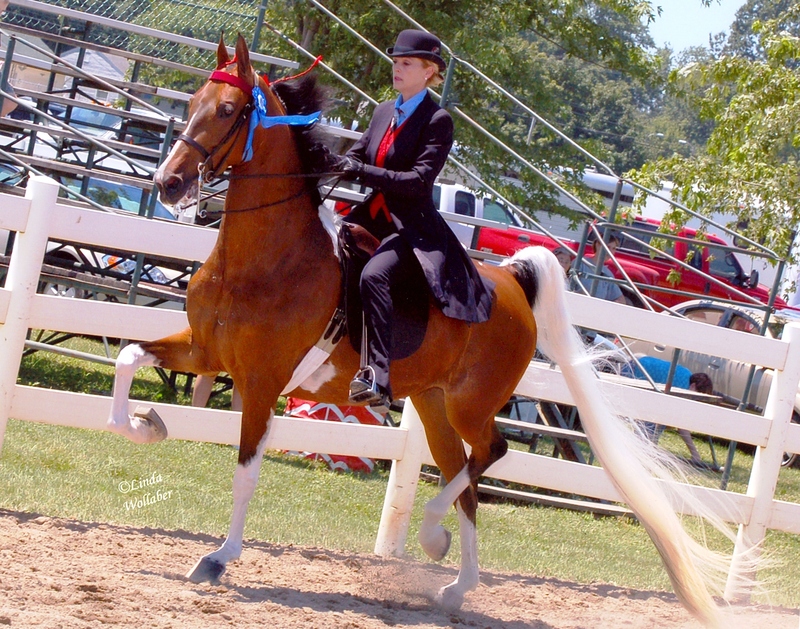 However, since their marriage the farm is dedicated to raising American Saddlebreds, a show breed known as the "Peacock of the Show Ring”. Would you like to learn to ride or drive a horse? Visit UPHA Learn to Ride & Drive In Style Campaign. Our farm is a work in progress. We started with a beautiful barn, a few pastures, then we added more pastures with run-in sheds, lights and water, then added an all-weather outdoor round pen. Finally, we made the decision to put up an indoor riding arena (60 X140), as I call it my own personal play ground. Jack, my husband, installed the lighting all himself, and he never ceases to amaze me. We take pride being amateurs who are able to do it on our own. Not to say we don’t send horses out to trainers, because we do. But, we train all of our in-hand colts, and start and finish our horses under saddle. We love working with the babies and we have been quite successful. I also attend clinics and seek the help of very qualified professionals like Smith Lilly, master in-hand trainer himself, Jim Aikman, & Lonnie Lavery from Ask the Trainer, all have been a great help and highly recommended! 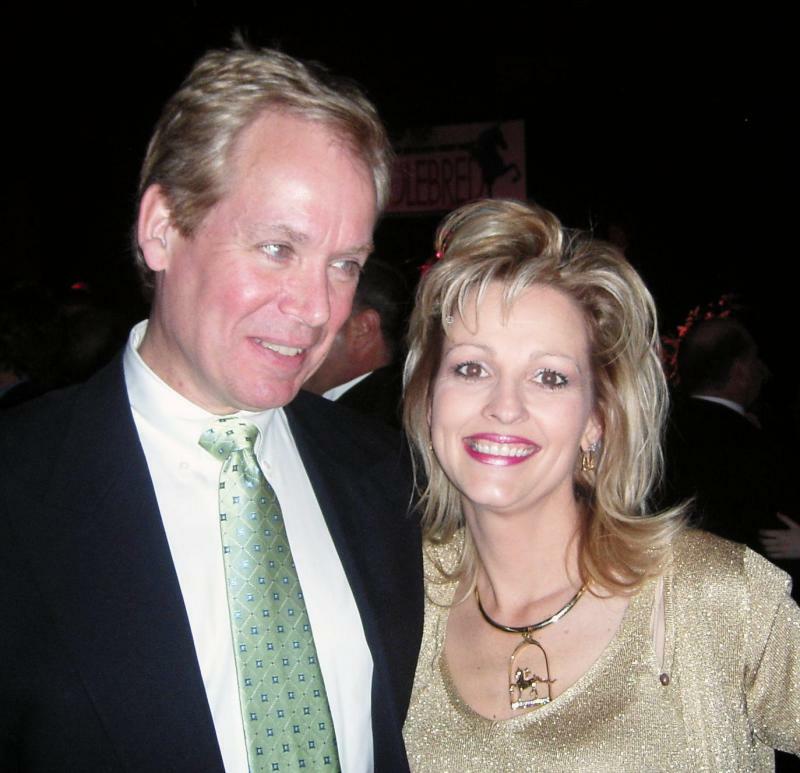 In our first year of showing in-hand we won our first futurities (Penn-Ohio & Tri-State) with a Monaco weanling named Princess Grace of Monaco, who has also gone on to win undersaddle. What a thrill to have bred, raised and trained a champion! I guess I could blame the love of the pinto on Michele Macfarlane. 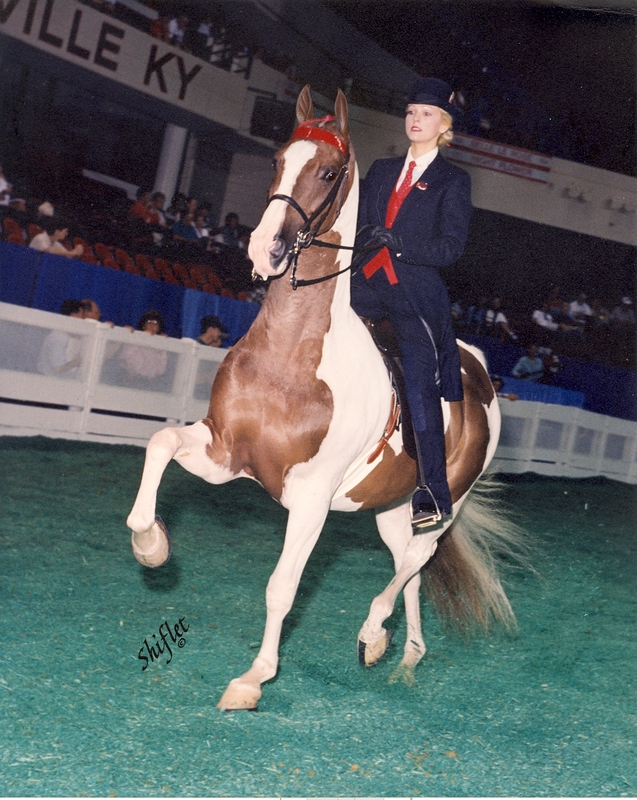 One of my visits to the World Championship horse show in Louisville, KY I saw this beautiful horse enter the ring who just took my breath away! His name was CH The Fire Fox. From then on I was hooked. I had to have one (little did I know I would have several later) and I would not settle for just a plain chestnut. So my search began and I found Thunderstruck who later became with me CH Thunderstruck. 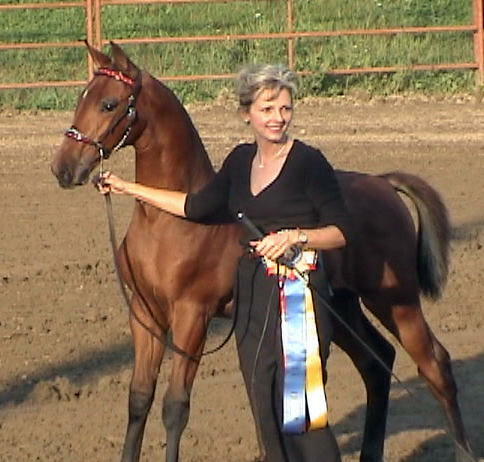 We won several Three Gaited Pleasure Horse Championships, he was a grand horse with a huge heart, may he rest in peace 1986-2011. 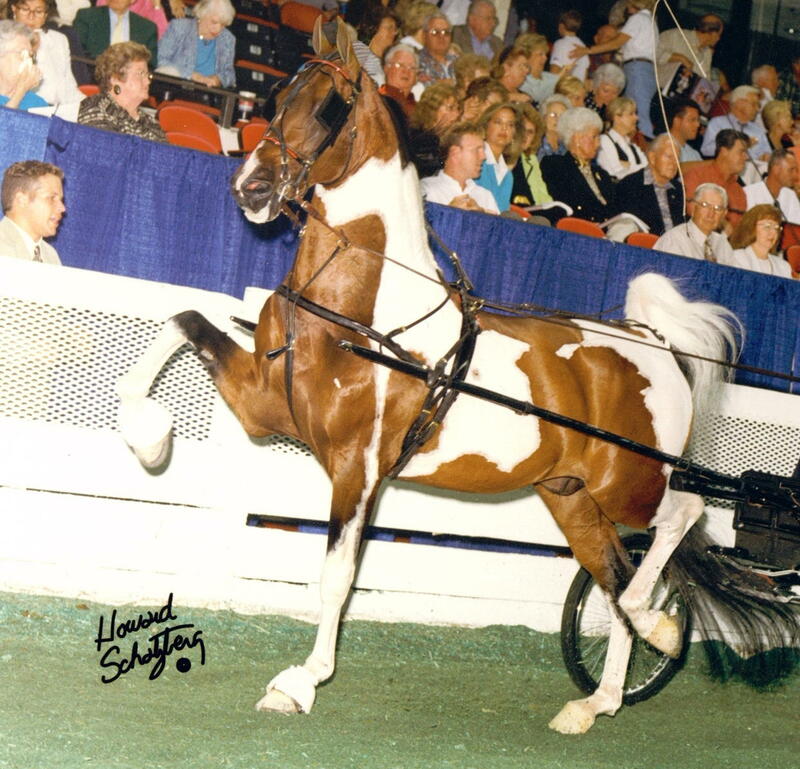 The pinto Saddlebred passion continued and has become the cornerstone of our breeding program and what we have become today, the proud owners of Monaco and his offspring. We hope you enjoy the site and please feel free to contact us anytime, cheer for us at the shows, or even stop in to see us. I think you will be very impressed! We are very proud of our horses! Copyright 2010 Royale Farms. All rights reserved.